The Knicks have been on a recent 8 game losing streak. The results have spawned from many things such as the lack of defense, effort, and shooting consistency. With all of these mentioned you can also include the lack of bench usage resulting in their recent failure. Since entering the Knicks franchise as the head coach Mike Woodson has been known to exclude his bench players from the rotation which has had many repercussions for him and the team. 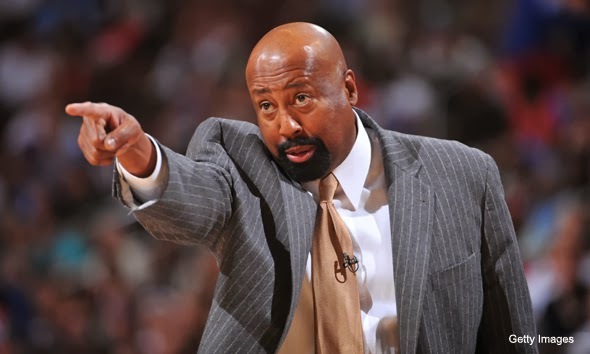 Nobody can know for sure what mike Woodson is thinking during the games, but what most Knicks fans seem to agree on is that Mike Woodson needs to have a better rotation system. Bench players for any team and any sport is and can be used for many things which Mike Woodson does not seem to understand. There has been times when a starter has gotten cold yet he continues to keep that player in. There has also been times when a bench player gets the hot hand but he wastes no time switching him out. The best example available spawns from last year when Chris Copeland, their best and most efficient scorer of the bench (if you don't include J.R. Smith) would come off the bench and score at an acceptable and efficient rate, but would later find himself on the bench after about 5 to 15 minutes. Many players for this team are shooting poor percentages but their poorest and most inefficient scorer is J.R. Smith who is shooting 32% from the field, 28% from three, and 59% from the free throw line. Not to say that they should just stop playing him, but when his contributions start to regress then that is the time when you should take the said player out for someone else. J.R Smith is just an example but this should go for anyone who relapses to such a horrible display. 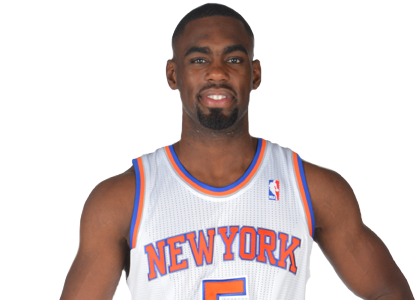 The Knicks has a bench consisting of some young players in Cole Aldrich, Tim Hardaway Jr., and perhaps the fan favorite, Toure' Murry. 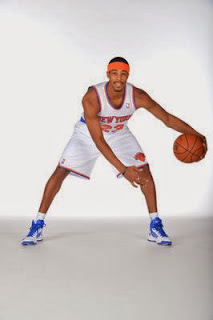 The Knicks starting players are all veterans who are no younger than 28(except Cole Aldrich). This is important to know because at this age their game is not going to change. That is the point of having young players, to build off of their skill set making them more efficient, skilled, and versatile players. Building off young players is a long process but it is a process worth doing as shown by the Oklahoma City Thunder and the Indiana Pacers. 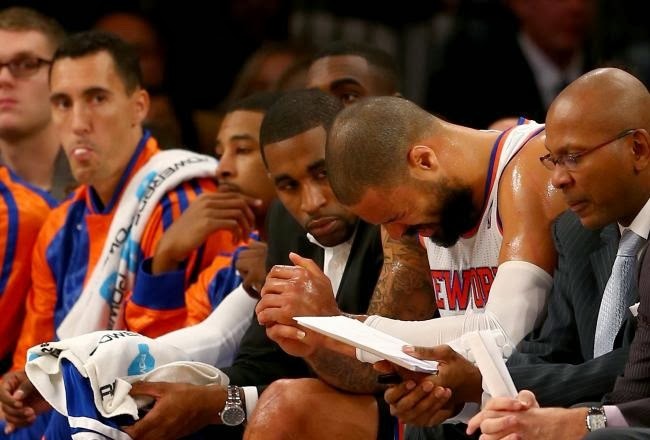 The Knicks bench players need to be given a chance because there may be an under the radar talent waiting to break out, but because of their lack of playing time they may decide to leave the team like Chris Copeland did last off season. Putting a player on the bench can end up being your poison or holy water depending on how you use it. To elaborate, if you keep a potentially good player on the bench and you only play him for about 2 to 5 minutes per game then he may gradually become unhappy on the team and look to play elsewhere. Positive results can show with bench players especially the young ones because they still have something to prove and they want to imprint into the coaches mind that they are someone worth playing. Right now Mike Woodson is more on the negative side when it comes to utilizing his bench players but giving them more playing time, trust, and responsibility can add fuel to their fire enticing them to play with more vigor and intensity for the team.